The process to obtain a State of New Jersey firearms purchasing permit and a State of New Jersey firearms identification card is governed by the New Jersey State Police Firearms Application & Registration System. The system is now web based and can be located by clicking here. 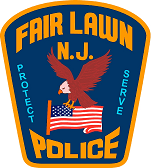 Printed forms are no longer available at FLPD HQ, and printed forms are no longer accepted by the New Jersey State Police. Once the process is completed, to pick up your ID card and / or permit(s) from FLPD HQ, contact Det. Brian Simpson, 201-794-5415, generally Monday - Friday, 7:00 am - 3:00 pm.